I am still pretty devastated after the loss of my American Blue buck from pasteurella. I have been hyper vigilant, inspecting every rabbit twice daily for signs and symptoms. If they have runny eyes or any nasal discharge, I bring out the VetRx for rabbits and drop it near their nose. And I did preventative treatments to anyone who was exposed to the Buck. But life in the rabbitry continues. This last weekend, a juvenile American Blue Buck came up for sale, with a pedigree. So I scooped him up. He is kind of tiny for the breed, and his age, but he is super soft, well built structurally, and super friendly! I call him Pepino! 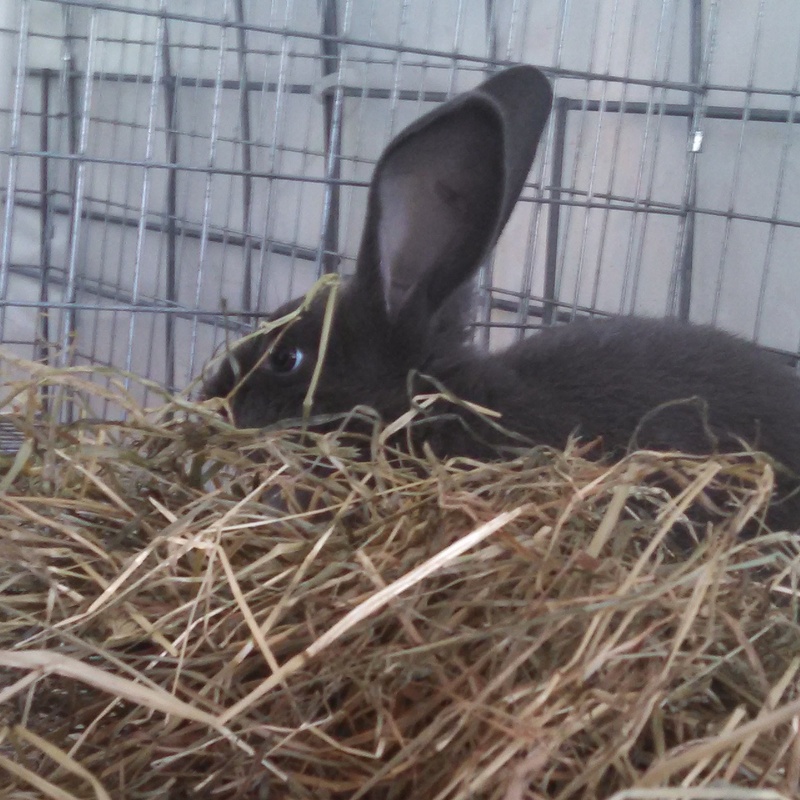 He is still a bit unsure about the fodder, but loves the hay. He is only 10 weeks old, so I won’t have any purebreds this calendar year. But, raising him in my environment he will get to know me, and my rabbits.